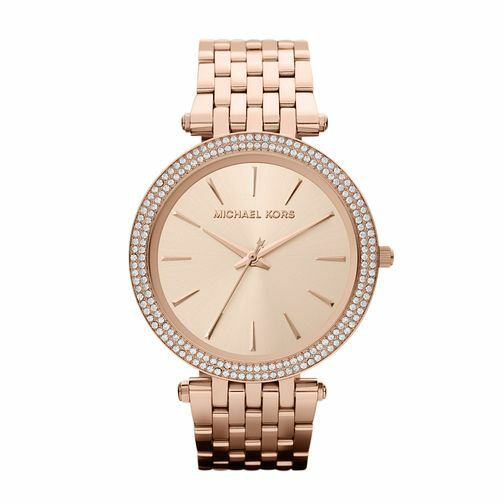 Achieve beautiful simplicity with this rose gold toned link bracelet watch from esteemed American fashion designer Michael Kors. Set with a large round rose dial, framed with glittering crystals on the bezel. A simply elegant ladies' timepiece, perfect for evening wear or a touch of sophisticated, everyday glamour. Michael Kors ladies' stone set rose gold tone watch is rated 5.0 out of 5 by 2.